We stayed at the Georgian Court Hotel in Vancouver for two nights. The location was good since it was downtown and pretty close to Robson St. The Vancouver Christmas Market was also only a five minute drive. BC Place, one of Vancouver's two stadiums, was right across the street. And Rogers Stadium where the Cunucks play, was also nearby. Our room was on the small side but the bathroom was big. There was a huge window looking out to the buildings around us from the 8th floor. Frankie's Italian Kitchen and Bar was downstairs. We ordered room service the first morning from there and it was really fast. We had pancakes with potatoes, eggs benedict, and granola with yogurt and fruit. My husband and I took turns grabbing a cocktail downstairs in their bar. He had a Manhattan and I had an Old Fashioned. We were also able to take our drinks back to our room. The lobby was really pretty and festive with a nice Christmas Tree. We were really impressed with the hotel and glad we stayed there. The lobby of the Georgian Court Hotel. Some of the famous people who've stayed there over the years! The entrance to Frankie's Italian Kitchen and Bar is to the right when you enter the hotel lobby. The bar area of Frankie's Italian Kitchen and bar. The dining room area of the restaurant. 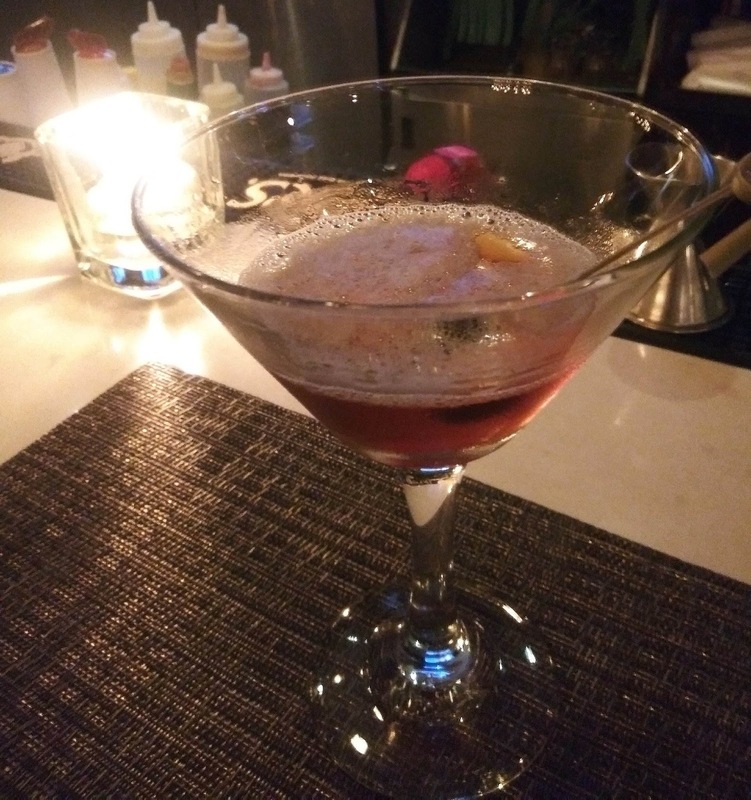 A strong Manhattan, made just right! And an Old Fashioned, also made perfectly. Our view consisted of lots of Vancouver's buildings, perfect for me and my sons who love architecture. Room service from the restaurant downstairs. Really fast but pretty expensive. Luckily there was a 7-eleven a block away and we bought some food for breakfast for the last morning. They even had bubble tea there! Score! Our view on our last morning. Finally the sun came out a little. The view to the left was more buildings, yah! And finally saw a little blue sky right before we checked out of our room. One more shot of their pretty tree before we left. The view of BC Place from our hotel. I took this by the 8th floor elevators.